Cabot Cruising Club – Members and guests are welcome aboard the John Sebastian on Thursday and Saturday evenings. … to the home of Cabot Cruising Club. Cabot Cruising Club has founded in 1937. 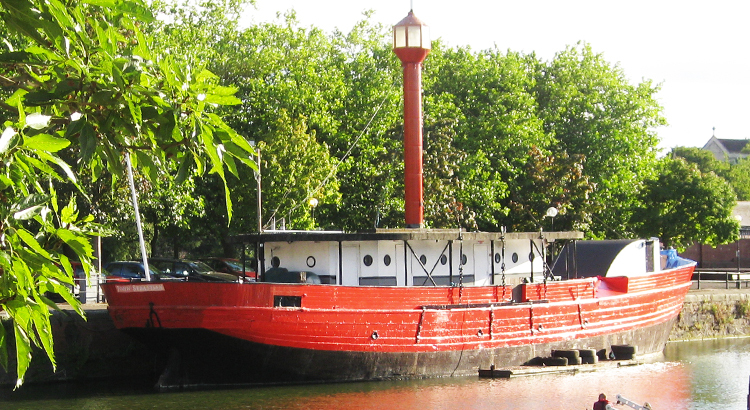 Our clubhouse, the John Sebastian “Light Vessel 55” (LV55) was purchased by the club in 1954, and has been the base for club operations whilst moored in Bathurst Basin since her doors reopened in 1959. Members and guests are welcome aboard the John Sebastian on Thursday and Saturday evenings. We hold our ‘club night’ every Thursday – this is the best time to visit if you wish to enquire about membership and moorings. The John Sebastian, can be found in Bathurst basin, alongside the aptly named “John Sebastian Quay”, just off Commercial Road and in front of the old General Hospital. Her doors are generally open from 7.30pm Thursdays for our ‘Club Night’ and welcomes entry till 10pm as the bar closes at 11pm. On a Saturday night last entry is 11pm with club functions and great entertainment to suit our eclectic mix of members. We have a fully stocked bar and friendly volunteer selling drinks and snacks at very reasonable prices. If visiting for the first time please make yourself known to any of the club officials who will do their utmost to make you welcome and introduce you to other members. We meet on the John Sebastian on Thursdays and Saturdays from about 7.30pm. We have a bustling social events calendar. We have a well stocked bar with special prices for club members. If you have a special event – as a club member you can hire the John Sebastian. Interested? 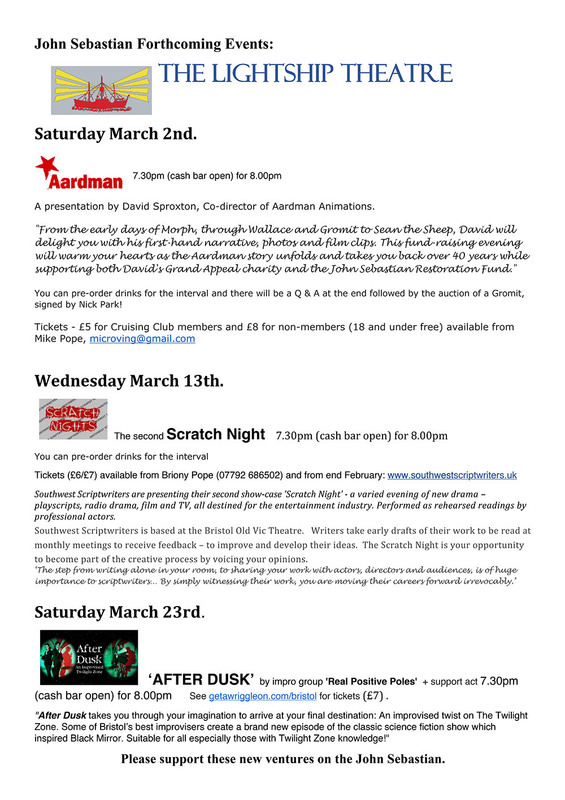 Why not come along on either a Thursday or Saturday night and see for yourself what a fabulous venue we have, and why not have a chat with our Membership Secretary, who will be happy to guide you through the process. We look forward to meeting you aboard the John Sebastian.